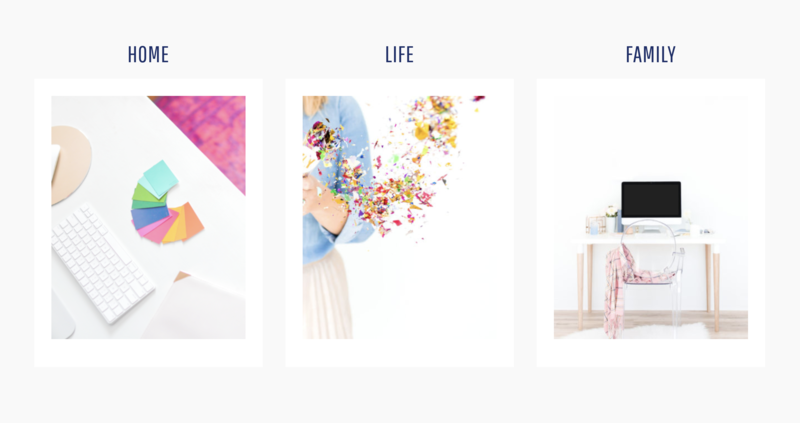 The Front Page 3 Widget Area is comprised of 4 different widgets. The first of which is a text widget. 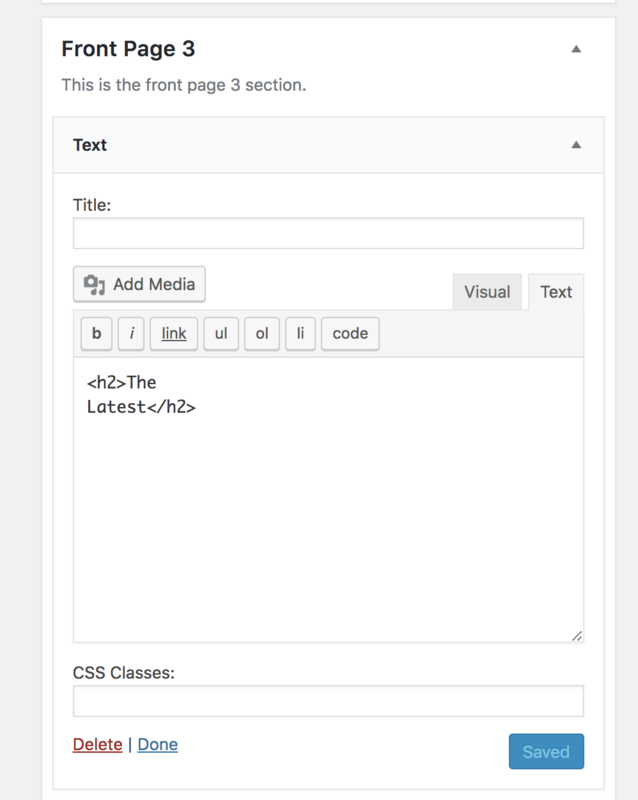 You'll want to wrap your text in h2 tags in order for it to appear like the demo. Be sure and click Save. The next three widgets are all configured the same. 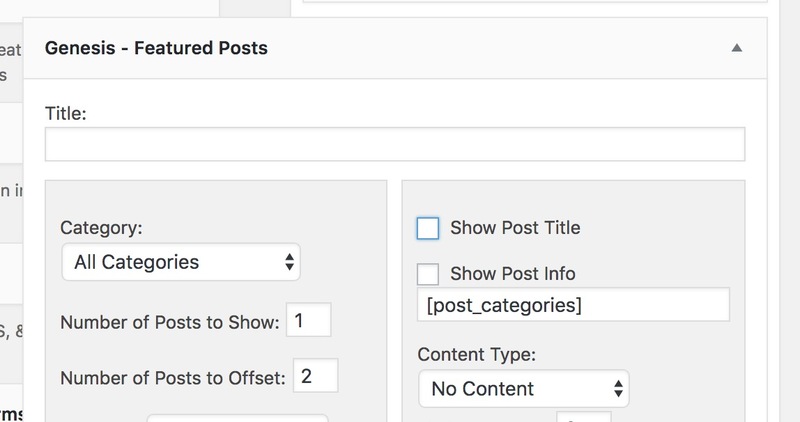 Add a Genesis Featured Post Widget beneath the text widget you just created. 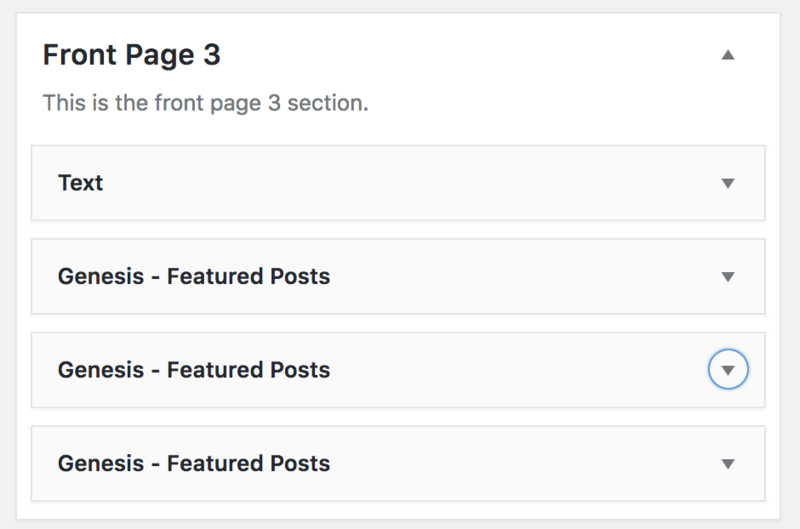 Then do the same thing with 2 more Genesis Featured Post Widgets and check "exclude previously displayed Posts"
If you have long post titles that cause one widget/image to appear larger than the others, here are a few different configurations you can try. Option 1. 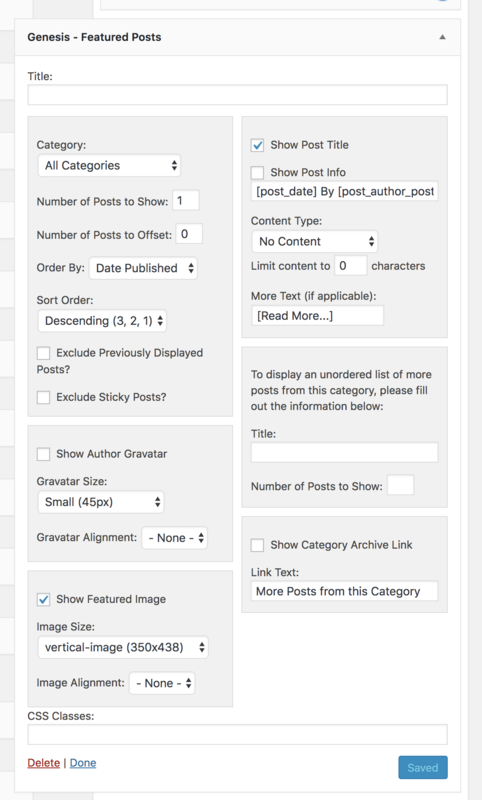 Genesis Sandbox Featured Content Widget - Install this plugin, activate, and set a title character limit. Option 3. Uncheck the Show Post Title Box, set your category for each widget to display a specific/different category, then enter a title for each widget. See example Below.